One of the things that I was adamant about when we were wedding planning was that I didn't want a cake. Personally, I don't like cake that much, and paying a ton of money for a wedding cake seemed stupid. 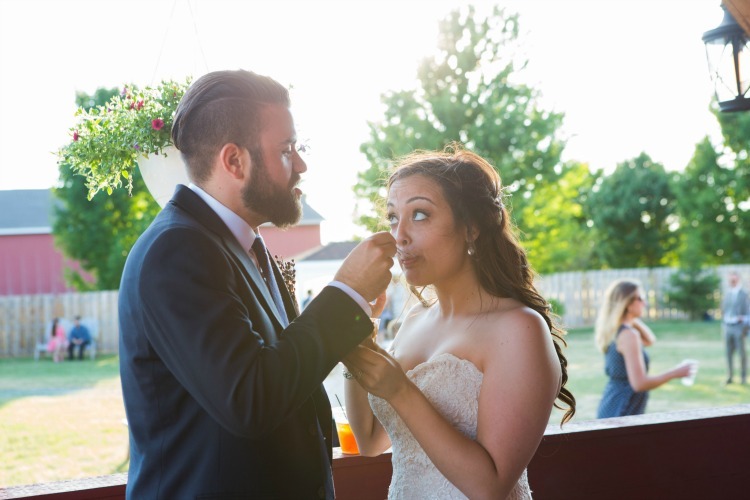 Sidenote: I hate when brides and (especially) grooms smoosh cake in each other's faces. I mean, they both just spent a lot of time (and in the bride's case, probably $$) getting all nice and fancy. Don't ruin that for your spouse. But that's just my opinion. I am a HUGE ice cream fan (some of you may know this), so I really wanted to have ice cream sundaes. Since the wedding was in the summer, I thought that would be perfect. 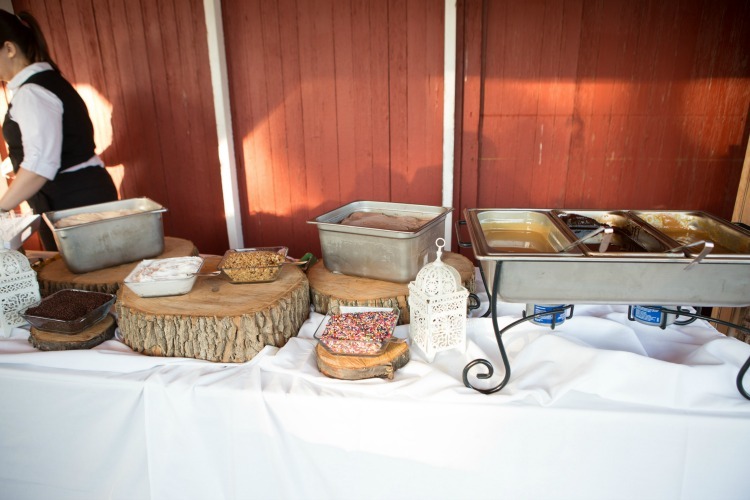 Since the wedding was at a barn, my mom really wanted to have s'mores. I am so glad she pushed for that. 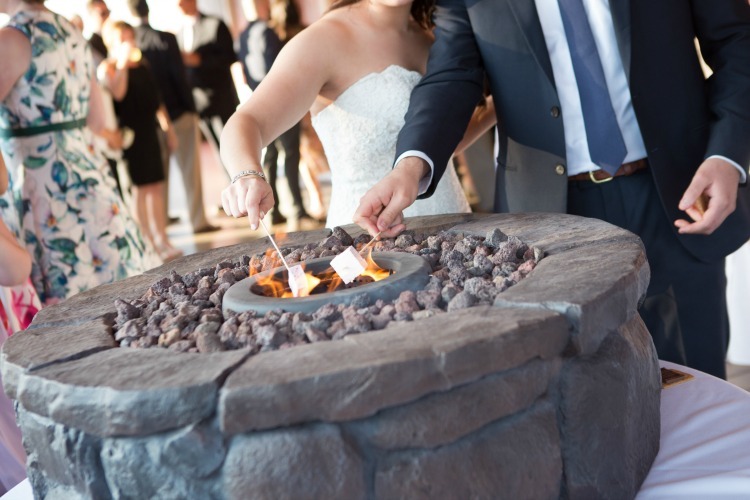 It was so different, and I loved that the guests could roast their own s'mores over a small fire pit. 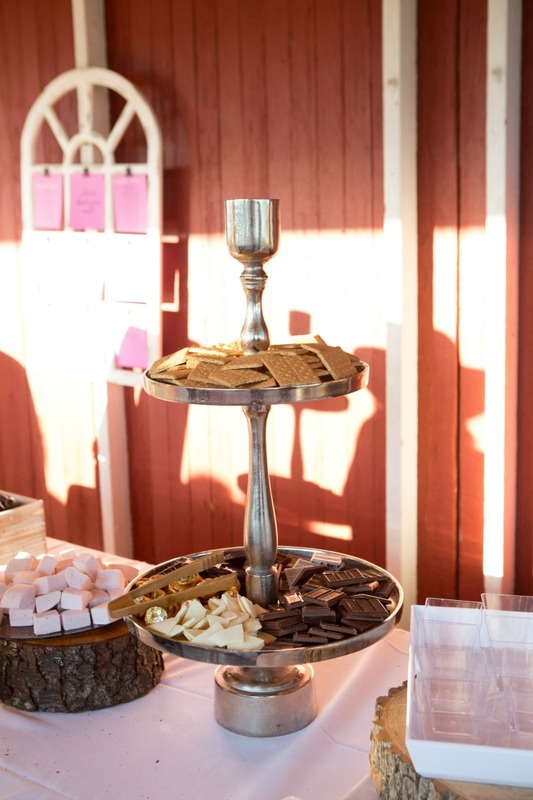 We also had a couple of trays of cookies, for those who were a little more traditional. 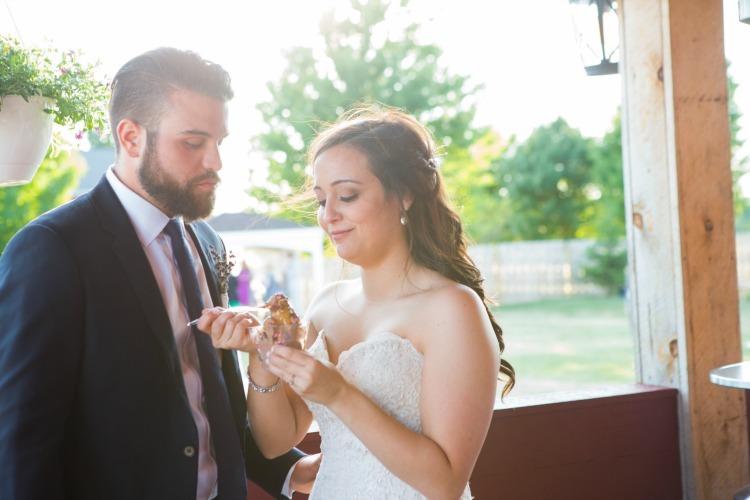 We didn't do a "cake cutting" or "feeding" in front of the guests, but our photographer did catch this little personal moment between Dave and me when we were trying out the ice cream bar. Are you a traditional wedding cake lover? 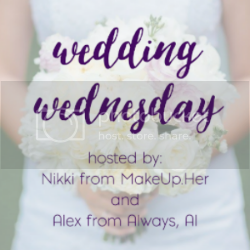 Or do you like when weddings have something different? Most importantly, what are your thoughts on cake smooshing! ?